This was about Elton Johns "Goal diggers" who played football to raise money for charity. This pictures were taken at the "Goal diggers" Cup held at Wembley in 1976. There was a Quo team and the members were Bob Young, Colin Johnson, Rick Parfitt and Bobby Charlton. 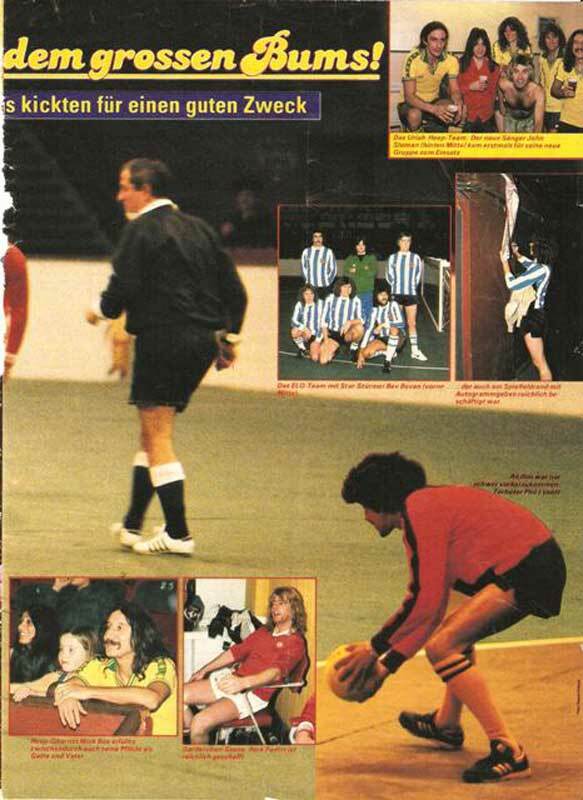 Other teams were from Uriah Heep, ELO and Thin Lizzy. 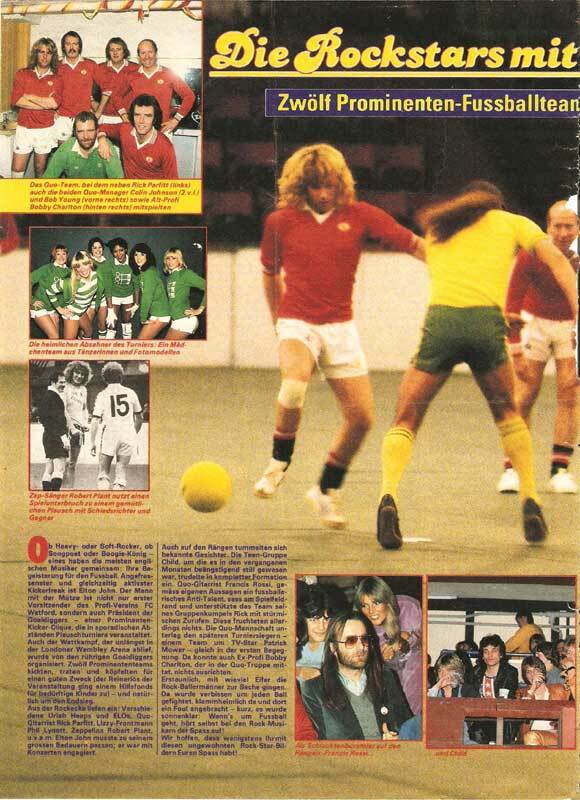 One of the spectators was Francis Rossi (see pic at the bottom left) who supported the Quo team.